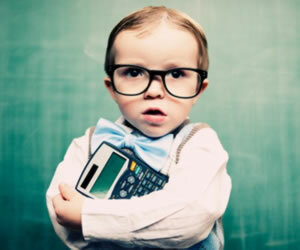 As parents, most of us are constantly looking for opportunities to educate our children on financial realities. While most of us incorporate a hands on approach such as showing our kids what a checkbook ledger looks like, how to balance it and even providing prepaid debit cards in an effort of preparing them, most of us wonder if what we’re doing is enough. Now, though, there’s a new tool available for parents – and it might surprise at just how powerful a tool it can actually be. Financial Literacy Day is slated for April 26, 2013. The Jump Start Coalition has hosted this even for the country’s young people every year for the past decade. This year, it’s partnered with the Council for Economic Education and Junior Achievement USA. The event will be held at the Cannon House Office Building, in the Cannon Caucus Room from noon until 3:30 PM. Several of the speakers will be members of Congress and other financial literacy dignitaries and it’s a fine way to introduce your teens or college students to the intricacies of the American financial system. Every year, Financial Literacy Day on Capitol Hill features an “open-house exhibition that includes a number of financial literacy products, programs, and other initiatives by more than 60 individual participants from the business, financial, educational non-profit, trade association, academic, government, and other sectors”. Some of those include the nation’s biggest banks and credit card card companies. Lunch is provided via a buffet line and it’s open to the public. Each year, approximately 500 people attend. It’s free to the public. the needle has not moved in the past 24 months. Personal savings rate, or savings as a percentage of disposable personal income, declined substantially over the past two decades; however, since 2008, when the recession officially kicked in, those rates really dived and while the rates are higher than they were a few years ago, the two decades long trend continues. At the end of January, the Commerce Department announced that the personal saving rate rose to 6.5% in December, an improved from the 4.1% reported in November. Not only that, but even those with incomes of more than $75,000 annually, less than two thirds could say their emergency savings was bigger than their credit card debt. Forty percent of consumers who earn $30,000 say their emergency savings are healthy enough to be greater than their credit card debt. Sixty percent of men and forty-nine percent of women say their savings is greater than credit card debt and nearly 30% of those with children under the age of 18 say their savings is less than their debt. And if you don’t have children, there’s a good chance your numbers mirror those of your counterparts who happen to be parents. It’s clear American consumers are attempting to pay down their debt and even with the savings rate improving, there’s no denying the incomes simply aren’t adequate to promote financial security; in fact, with so many outside factors, there are many who say any good news must be tempered with the new reality: current political problems are wreaking havoc on the finances of every American. The timing is right for this program. Financial Literacy Day on Capitol Hill was introduced in 2003 by the Council for Economic Education, Junior Achievement, and the Jump Start Coalition, with the office of U.S. Senator Daniel K. Akaka serving as the original honorary host. Over the past decade, Hill Day has grown and evolved into a public event that hundreds attend. The event includes a complimentary lunch buffet and more than sixty financial entities provide their own literacy exhibits. These include, as mentioned, different banks and credit card companies, along with several non for profit, for profit and other government bodies. There are no registration requirements, though you’ll want to visit the site so that you can keep current with the latest additions and any applicable changes. The Council for Economic Education remains the leading force in the US that puts its focus on the financial education and economic changes of students. With a commitment to students as young as five, the Council believes financial literacy starts early. For six decades, its goal has been to ensure young people have a “real world understanding of economics and personal finance”. Those associated with Council believe it’s only by ensuring those foundations are in place that children know there are always better choices and other options for “financial freedom”. Their goal is to ensure our young people grow into financially fit and successful adults who make smart money decisions. It carries out its mission by offering development programs to educators along with resources and nationally accepted learning tools. These efforts are met by providing local workshops and partnerships in communities around the country as well as online tools and workshops that deliver learning materials for students in kindergarten up to their senior years in high school. Teachers are given instructions and have the opportunity to earn national professional accreditation and some have even used it in their quest for their master’s degrees. Its curriculum is aligned to national standards in English and math along with voluntary national standards in economics, developed by the Council, and with national standards in personal finance. These are intertwined with current math programs at every grade level. Each year, more than 5,600 students enter the National Economics Challenge, which encourages creative problem solving and testing that verifies their progress. In 2011, the Council educated more than 50,000 educators and because of that, 5 million American students benefited. Another partner with Hill Day is Junior Achievement. This nationally accredited program provides education and skillsets for today’s young people so that they too can achieve financial success. They’re given “hands on training” and “relevant experience”. This group teams with both corporate and community volunteers who work alongside these young people to deliver knowledge and skills in financial literacy, work readiness and entrepreneurship. Further, its curriculum reinforces current educational efforts and supplements state learning standards from kindergarten through high school. It serves more than 6 million students outside the U.S. as well. You can learn more about the program, its participants and other details of this important day by visiting juniorachievement.org. Also, if you attend, share your experiences with us – we’d love to hear about it and what you and your children took from the experience. What Does Legal Battle Over Swipe Fees Mean for Consumers?